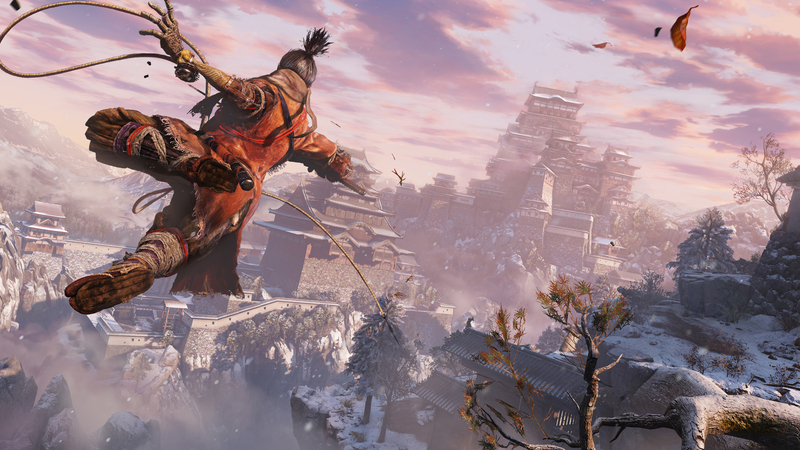 Sekiro: Shadows Die Twice is a bit of a change of course for FromSoftware. From the ancient Japan setting (as opposed to the demonic hellscape of the Souls games) to a lack of RPG elements, this game is definitely a bit different from what we’re used to in many key areas. However, there is one change that may end up making this game a lot more accessible. There’s a dedicated, fully functional pause button in Sekiro: Shadows Die Twice. Praise the sun indeed. There’s actually a practical reason as to why you can pause in FromSoftware’s newest game: the lack of online multiplayer. Unlike a majority of From games beginning with Demon’s Souls, Sekiro: Shadows Die Twice is strictly single-player. That means no online integration into the campaign, which allows for use of a pause button. While the lack of a pause button was for multiplayer purposes, it had plenty of drawbacks, naturally. It makes sense to have a dedicated pause button in Sekiro. While action is the focus of it, as it normal for FromSoftware games, there is a bigger emphasis on stealth this time around. In addition, the progression system is being tweaked in a way that makes it somewhat more intuitive to use. Overall, while it will still have a difficulty like no other, it definitely seems like Sekiro: Shadows Die Twice may be the most accessible FromSoftware title in some time. And if you’re worried about these games being “too easy,” just remember the developer has two unannounced projects on the way. Sekiro: Shadows Die Twice releases on March 22, 2019 for the PlayStation 4, Xbox One, and PC.